A huge field of 15, one of which is on the also-eligible list, will vie in the $200,000 Lecomte (G3) at Fair Grounds on Saturday. 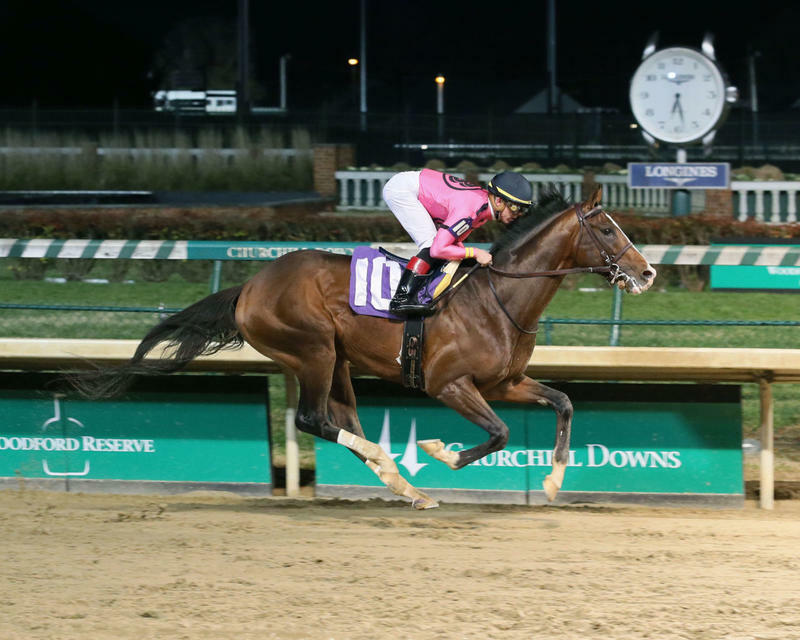 Sophomores hoping to earn qualifying points in the Road to the Kentucky Derby event will travel two turns in the first of a trio of graded stakes races for three-year-olds at the New Orleans, Louisiana venue. The race looks pretty wide-open on paper, though I am very intrigued by recent maiden winner WAR OF WILL (#8) (6-1) and will tab him for graded success. The Mark Casse trainee has run well in each of his five lifetime starts to date and looks like a very nice prospect to me. War of Will raced upon the green in his initial four outings with some very good results. The well-bred colt was a close second in the Summer (G1) and a narrow fourth in the Bourbon (G3) prior to his creditable fifth in the Breeders' Cup Juvenile Turf (G1) when beaten by just 3 1/2 lengths. When a turf maiden event was washed off the lawn at Churchill Downs in November, War of Will raced on the main surface for the first time. And he sure looked good. Moving to the fore in early stretch, War of Will readily opened up in the lane en route to a five-length romp. The Kentucky-bred earned a 94 BRIS Speed number, as well as a 103 BRIS Late Pace figure for his efforts. The son of War Front hails from a fine female line and is bred to be a great one. The bay colt has a pair of stakes-winning siblings; including Group 1 hero Pathfork and multiple stakes victor Tacticus. His dam, the stakes-winning Sadler's Wells mare Visions of Clarity, is a half-sister to the absolutely brilliant Spinning World. War of Will has speed, form, a stout pedigree and top human connections. I not only expect him to run big in the Lecomte, I also envision War of Will to make a lot of noise on the Road to the Kentucky Derby.